The next price increase for the Austin Marathon® will take place on Monday, December 11th at 11:59 p.m. CST. The price increase will affect the marathon, half marathon, and 5K events. 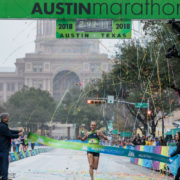 The Austin Marathon features a revamped marathon course, recently added the Manzano Mile, and will celebrate its 27th anniversary on February 18, 2018. Registration is currently ahead of last year’s pace. Austin’s flagship running event annually attracts runners from all 50 states and 20+ countries around the world. Runners will experience Austin’s unique culture with each part of the course bringing its own flavor of spectator support, music, and scenery – from funky to modern and everything in between. 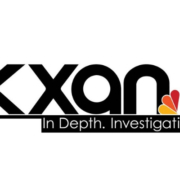 Highlights on course include 6th St., S. Congress Ave, S. 1st Street, Lady Bird Lake, Cesar Chavez, Guadalupe St. (aka The Drag), and The University of Texas. Runners will cross the finish line with the majestic Texas State Capitol in the background. 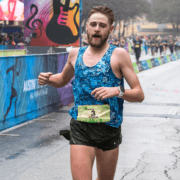 With start and finish locations just a few blocks apart, and within walking distance of many downtown hotels and restaurants, the Austin Marathon is the perfect running weekend destination. The Austin Marathon will increase $10, from $130 to $140. The half marathon will also increase $10, from $110 to $120. The Austin Marathon 5K will increase $5, from $45 to $50. Participants can register and see the pricing structure for all events on the website. After the December 12th price increase, the next price increase will occur on January 26, 2018. 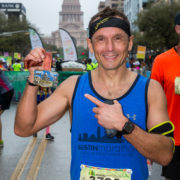 Runners traveling from outside of Austin can take advantage of one of the marathon’s newest partners, onPeak, the leading hotel booking solution for large-scale events. Event participants who utilize onPeak’s services will receive competitive rates at hotels conveniently located near downtown Austin as well as fully flexible reservation policies for adjustable planning. Race weekend will feature the Manzano Mile, set to take place on Saturday, Feb. 17th. This event features a timed mile, untimed mile, and kids run. 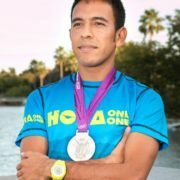 It is named for Leo Manzano, Olympic silver medalist and Austin Marathon Race Ambassador. Everyone is invited to run, from elites to families. The Manzano Mile will begin at 11 a.m. and take place on Riverside Drive north of the Palmer Events Center, where the Health and Fitness Expo will be held. Registration for the Manzano Mile is $25, the untimed mile is $20, and the kids run (nine and under) is $10. Prices will increase by $5 after Thursday, Feb. 1st.